Soon, you won’t actually need to visit The Mob Museum in downtown Las Vegas in order to tour it, reports Craig Huber for FOX5. 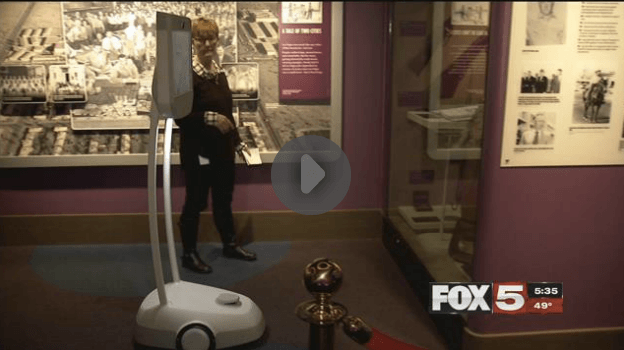 Beginning April 1, 2016, “Moe-Bot,” a telepresence robot, will enable guests to tour the museum via computer screen or mobile device. Users will actually be able to control Moe-Bot from their homes. “This system is not only technologically impressive, but also will give members of our community who cannot visit the museum – even visitors across the globe – a high-quality, engaging museum experience they otherwise couldn’t have enjoyed,” Ashley Misko, director of marketing and public relations for The Mob Museum, told FOX5.